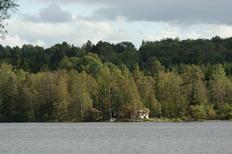 Own boat and jetty at a holiday home for four people in Småland. South Sweden | An own boat and fishing area only a few steps from the holiday house make Sweden the fishing paradise of the north. “The house left no wish unfulfilled,” declared one satisfied holidaymaker about this holiday home in Västergötland. Dense forests, countless lakes, picturesque skerry islands, and an elk here and there – Sweden will impress everyone with its natural landscape, above all. We’ll show you the top-rated holiday homes here. Holiday home with its own landing stage, in the middle of the woods of Värmland. 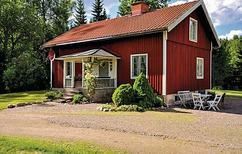 ​Sweden | Of course the typical Sweden house is red and the embankment complements the idyll perfectly. Take the boat out for fishing and bathing or just drift. 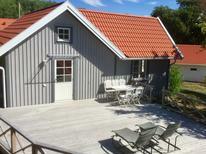 Holiday home with space for up to 8 people, located near the lake in Småland. Småland | Travelling together is mostly enjoyable. These holiday houses with at least four bedrooms offer enough room for large families or group of friends. 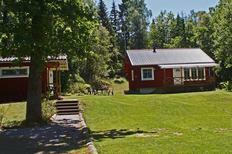 Holiday house for 4 people directly at a lake and wood-fired sauna house. 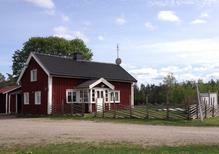 ​Sweden | You can only really enjoy an authentic vacation in Scandinavia with a sauna. These holiday houses all have an own sweating bath that occasionally is in a nice scenic spot. 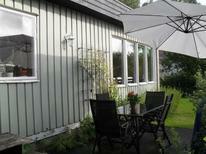 Holiday villas for 6 people with own hot tub direct at the shore of the Lake Vänern. ​Sweden | Hot Tubs are heated outdoor pools. These holiday homes all have an own hot tub from where you have a view across the landscape whilst enjoying a bubble bath. Polar lights close to a holiday house for two people in Lapland. ​Lapland | Particularly in autumn and winter many polar lights appear in the north of Scandinavia. With a holiday house you have a good chance to experience this fascinating natural spectacle. 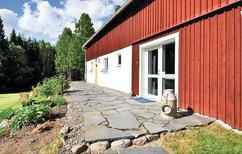 A customer left a feedback for this cottage for 6 persons in Brålanda: "it's a very beautiful and comfortable house in the middle of nature." ​Sweden | Great holiday for not much money? No problem. Here we offer you a selection of holiday apartments and houses that are not expensive and at the same time have been rated very good by other travellers. A holiday house in Vastergotland costs on average USD 510 in the cheap travel period and USD 1,017 in the peak season per week. These details are of course in relation to the house and not per person as well as includes the obligatory additional charges. Gothenburg is the star attraction of Vastergotland. This bustling Swedish city is full of museums, fine dining and cultural and historic sites that visitors can easily explore from holiday rentals. Holiday homes give visitors the freedom and flexibly on their holiday to take full advantage of all that Vastergotland has to offer. 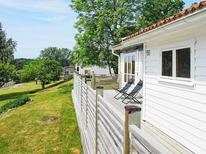 Holiday houses in Vastergotland are easy to book and rent in Gothenburg and its surrounding areas. Gothenburg is the heart and center of Vastergotland and the perfect place for visitors to establish a base in a choice of holiday homes. 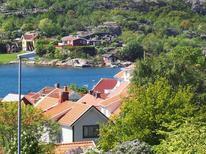 In Gothenburg visitors can step out the door of their holiday rentals and be at the heart of Vastergotland's city. Gothenburg is a cultural hotspot and is home to many interesting landmarks. Visitors interested in art will enjoy the many art museums, particularly the Konstmuseet, which has an expansive and diverse collection of art. Gothenburg is also a center for modern architecture and design, a fine example of which is the Opera House. Many visitors enjoy spending a day wandering around Haga, a historic neighborhood in the city with many persevered buildings and cobbled streets. The Kungsportsavenyn is the main high-street with plenty of shopping and fine dining for visitors to explore before returning to the quiet of their holiday houses. If visitors want to take a day trip to Vastergotland's countryside there are many villages along the coast that will make an easy day trip from holiday appartements. There are many holiday houses and holiday appartements to choose from so visitors can pick the perfect location for their holiday.